You will also be required to submit a number of forms prior to departure. In Siena, an orientation program will help you adjust to your new environment and familiarize yourself with the various student support services that are available. You will live in the city of Siena in student apartments, which are within walking distance of the Siena Art Institute. There are kitchens in the apartments, as well as a number of food venues within Siena. Some meals will be provided by the program within program activities. 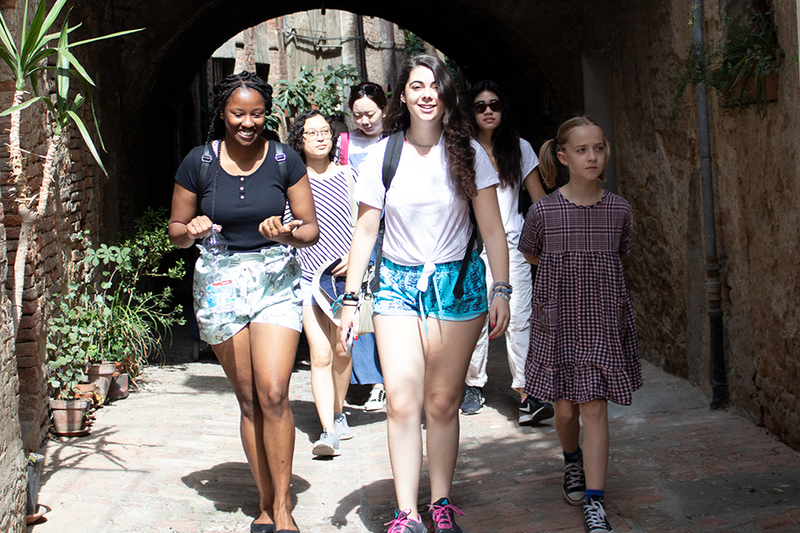 Local student services and cultural events will be coordinated between the Office of Study Abroad and the Siena Art Institute. You will have the opportunity to participate in a variety of enriching field trips and cultural events within the area. It is understandable that you will want to explore other parts of Italy and Europe. You are required to attend classes throughout the week, and are expected to schedule your independent travel for the weekends and holidays. In addition, Brandeis requires that you leave a basic copy of your itinerary with a staff member so that you can be quickly contacted in case of an emergency. Students who have laptops are encouraged to bring them, especially for purposes of writing papers. Academic culture in Italy is different than it is in the U.S., and access to and use of computer facilities and libraries will also be different. The Siena Art Institute has its own computer facilities with email and internet access, but you must adapt to sharing both equipment and time. The Siena Art Institute also maintains its own library with essential reference works and limited volumes of primary source materials.